If you had to pick between getting tons of traffic or having a high conversion rate, which one would you pick? Most marketers churn out content for SEO rankings, build backlinks for offsite optimization and may even invest in PPC at some point. Whether your objective is to get people to buy, opt in to your list or download your content, you need to understand the significance of both. 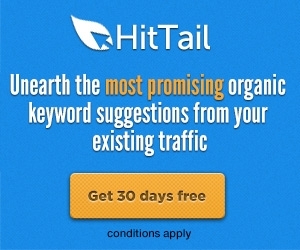 Sure, traffic is important and with lots of traffic you won’t need a high conversion rate. It becomes a numbers game. On the other hand high conversion says you’re selling to the right people at the right time at the right place. It’s how well you’re able to connect with your customer. So why can’t you do both? That’s precisely what successful businesses do when it comes to Internet marketing. They drive highly targeted traffic to relevant content that leads to rapid conversions. So how do you go about getting quality traffic? Simple, here is a three step process to get you started. The art of getting traffic goes back to the roots of direct response marketing. Specially the why, who, what where and how of your target. It’s often referred to as the Five W’s and one H. You can see an example of this concept in the post Social Media Science: The Five W’s of Twitter Marketing. In the case of traffic you need to start by asking the right question that solves the right problem. It’s like going to the doctor’s office when you’re sick and you expect the doctor to ask you how you feel not what your favorite TV show is. Pinpoint the right problem is how you can make meaningful assumptions to achieve your desire outcome. This calls for a bit of critical thinking. Getting on the first page of Google won’t mean much if you don’t get any clicks. After all there are a bunch of ads all around it fighting for attention and clicks. These questions serve as the foundation to help you identify your main objective of getting traffic: What’s the desire outcome? Think holistically. Then think specifically. What is the end goal that you have in mind? In other words, you need to have a real, tangible result in mind. You want sales? Great, how much sales? From where? When? How would those statistics stack up again what’s going on now? By setting the proper expectations you get altitude on what matters in your pursuit to traffic. It brings clarity to how your traffic generation tactics fit into the overall strategy. Then it all comes down to executing and measuring the effectiveness of each tactic you employ. Measuring results is hard to do and often the results will manifest themselves into insights other than the website. This is why you need to realize that traffics are actually people. And people want to be treated like a human being regardless of what campaign you run. At some point you will need to use a combination of words and images to grab attention and understand the psychology of your customers. People often think they know what they need, but they don’t take action to fulfill those needs because they simply can’t justify the benefits of buying. Why buy this now? Why should I buy it from you? Aim for emotions that matters to people. People are more likely to buy from those they trust and like so show them who you are. What are your values? Bring some social proof and authority but also show your personality. Be human. Once you establish some level of rapport, you need to make sure that they “get” the immediate impact that you can make going forward. You can do that by showing them why they need what you have right now using effective content and marketing strategies. It you sell stuff online it’s relatively easy to assess whether things are working or not. You can get to the bottom line with total sales, orders and customers or you can use metrics like the conversion rate to give you a sense of how effective the site is in turning visitors to customers. But if you run non-transactional websites, you need to have a different perspective to measure your return on investment. Specifically you will need to look at the activities that happen on the site. These are probably the best way to gauge your conversion rate which requires a level of scientific assumptions. Does the number of visits have an impact on the awareness of the campaign? How does pages views relate to the amount of information being consumed? How many people took the action that you’ve put in place? Such as download a PDF content or request for moreinformation via a contact form. Basically you can make some pretty reasonable assumptions using web analytics system, but it simply can’t tell you exactly what the visitors ended up doing at the end. This is why it’s important to measure results not just performance. Results bring you insights that will tell you more about your target audience than your website. It therefore requires a lot of thinking and coming up with the right hypothesis for testing. Most of us don’t know what we don’t know that’s how we end up wasting hours on tactics that will never work. This is especially true when it comes to implementing your traffic generation strategies. Although those are considered free tactics, they may not be free if you don’t get the results you want. And don’t forget your time isn’t free! The take away: As I write this I know there are new ways to get traffic such as hiring people on Fiverr to fabricate you arbitrary social proof. Just remember that black hat tricks such as the ones BMW and JC Penney did will ultimately hurt you in the long run. So be honest with what’s working and what isn’t, what was smoking mirror and what wasn’t. Keep doing what’s working and stop doing what’s not. Done right, getting traffic is a lot like selling water in the desert. Remember, the quality of your traffic has a direct impact in the rate of your conversion. Not only will you need to understand why they’re here, you need to be able to convince them to take the action you want them to take. So stop focusing on obtaining large amount of unqualified traffic. Instead focus on collecting and profiling your prospects and customers. There is no excuse now with all the advance tools you can profile just about anyone using a combination of social CRM and behavior targeting techniques. Great post very informative keep up the good work.